Last night I had the opportunity to listen to a famous speaker. Whatever side of the political aisle you fall on, when you have the opportunity to listen to someone who has been a part of history you should not pass that up. So I was all ears. I was invited to hear Newt Gingrich speak. For my Democratic friends, before you boo and hiss, let me tell you this speech was less about politics, and more about inspiration and motivation. There was so much he said, however, one thing he said every single person can learn from. 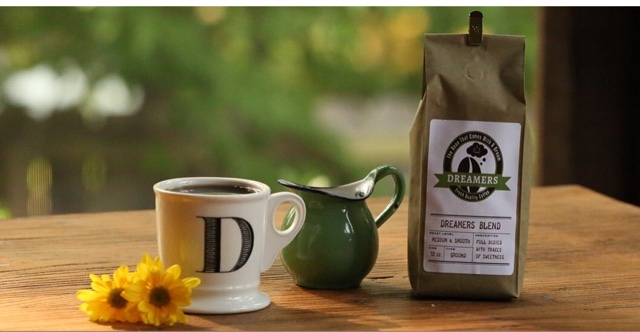 It is something I plan to be a cornerstone of Dreamers Coffee House for years to come. I can't remember his exact words as to how he lead up to this statement, but it went something like this, as you work on whatever it is you are working on, do it with "cheerful persistence." Those words jumped out at me. For the last ten years, I have shared the message of the dignity for all. It has been an easy message to share, because I believe it so much. I have had opposition to my message along the way, and I can say with all honesty, I have preservered. I have felt joyful, even in the struggles, because I know that dignity for all is a message that is right and good. To all of my Dreamers out there, there may be bumps in the road ahead for you. There may be days you are given opposition. On those days I will be there to help you through it, and cheer you on. You will hear me remind you all to have "cheerful persistence." The joy you are feeling today, because of the possibilities this dream could bring your family should be reflected in the good times, and in the hard times of your business journey. Remember the words "cheerful persistence." I truly believe with all my heart that for the last ten years I have had "cheerful persistence." This entry was posted on Tuesday, September 22, 2015. You can follow any responses to this entry through the RSS 2.0. You can leave a response.